The realization that everything is subject to change may be the greatest obstacle to happiness. We welcome those changes that bring moments of delight and satisfaction – the birth of a child, the recovery from illness, financial gain. Yet, even in these moments, we sense movement. Change takes away the beauty and energy of youth. At peaks of health we know that we will again experience injury and illness. Possessions acquired through wealth can be lost or lose their power to gratify. Change always seems pointed toward a sense of loss, inevitably of life itself. And yet it is precisely in this understanding of the inevitability of change that the meaning of Yoga enters our life and beckons toward happiness. This is Yoga as the progression into the new. Thank God I have met Sayagyi U Ba Khin and Goenka through Adi de la Brad and Geonka’s teaching assistants, Nathamuni-Krishnamacharya through his lineage Desikachar-Paul-Ziva-Ronen. Ronen was asking me yesterday if I see the benefits of Yoga into my life, mostly now when I am into a… living-situation 🙂 let call it. I was starting to bring life… breath.. back into this amazing vessel which is this body… to grasp death and life are part of the same coin… and are here every moment, in every breath I… take (? )… I am offered… Universe is filling me with every breath… star dust… sacredness. in my yesterday practice PERSEVERANCE come to me… patience and perseverance, with softness. 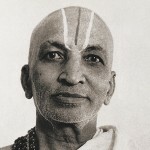 in the last days I go to the mat with Tirumalai in my heart… being grateful for all the effort he put in this lifetime for humanity (there are so many others!!). I am here to assume some effort… for my Spirit, for all the beings which are on the way. may we all know pace and harmony inside.